Samba Songs - What Are The 5 Most Famous? The 5 most famous Samba songs are listed below. These are subjective so I'm sure they will be some disagreement but can't we all get along. Joao Gilberto: With the style of Bossa Nova, The Song () was the hit to begin Gilberto's career in 1957. Elizeth Cardosa began with Gilberto as her guitarist. Gilberto created music based on older samba songs from the 40's and 50's that appealed to him and a crowd. Gilberto had no life before his music career and one person by the name of Luiz Telles saved him. He began playing the guitar and singing in a tiny bathroom. Antonio Carlos Brasileiro de Almeida Jobim, also known as Tom Jobim, helped discover the Bossa Nova style. 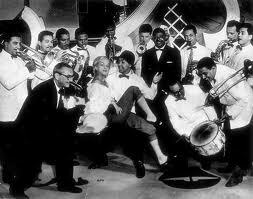 His song The Girl from Ipanema was one of the most recorded songs in Jazz and Pop repertoires of all time. Other people now perform his samba songs in Brazil and internationally. He takes part in doing plays and shows. Jobim put his work with American jazz saxophonist Stan Getz to get his music familiar to English speaking citizens. Daniela Mercury is one of Brazil's best known singers. As a Brazilian female singer, Daniela began with a band called Cheiro de Amor. Then she moved onto a career with Gilberto Gil as his backup singer, making the hits "Pega que Oh!" and "Ilha das Bananas." It was not long after that she fell upon a solo career with her hit Olodum on the album "Swing da Cor." Now she produces her own music in her own way and negotiates the labels. Mercury was the lead singer of a pop group called Companhia Clic. Her other major hits are O Canto da Cicade, Batuque, O Mais Belo dos Belos, and Voce Nao Entende Nada. Mercury along with a couple other female singers had over twenty million albums sold worldwide. Ivete Sangalo's big hit "Sorte Grande" get her the spotlight. Her other hits are also "Quando a Chuva Passar" and "Berimbau Metalizado". "Festa" gave her huge airplay. She has sung with American singer Brian McKnight as well. Ivete was also an actress and T.V. show host. She is well known for her powerful voice and she is also popular in Portugal. Ivete uses a lot of upbeat Bahian rhythms. Ivete owns her own clothing store now which is the third biggest retail store in Brazil. Sangalo released six CD's and over four million copies have been sold. É o Tchan's real name is Gera Samba. His hit Segura o Tchan went outrageous on the hit board, going platinum. Gera had some legal complications with his band name and ended up having to change the name. They made an album after that, complying to a signature dance move. He had a group of two female dancers and a male dancer. The two females drifted off on their own to become cover girls. Carla Perez, one of the many under Gera was noticeable among the teen and kids' age group. She worked out his choreography. Gera Samba released four albums in his time.